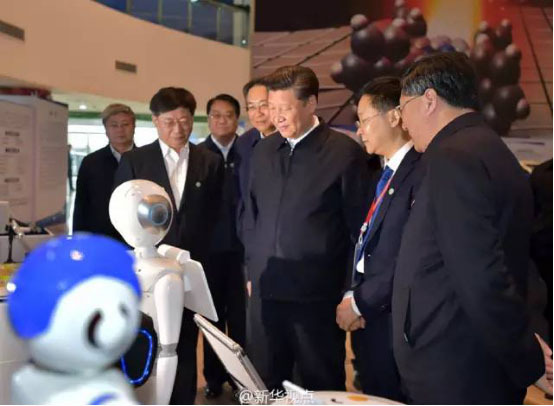 Recently, Xi Jinping in the "review", a variety of artificial intelligence robot, the development of intelligent Gowild technology companies in the world's first social emotional robot "childe white" our lovely, very eye-catching. do state leaders attend robot related activities frequently? NPC and CPPCC, artificial intelligence, unmanned etc. has become a hot topic, to benefit from the policy and Dongfeng Industrial development needs, in 2015 alone, the number of China's investment in artificial intelligence agency has reached 48, is expected in 2020 China artificial intelligence market scale will reach 9 billion 100 million yuan. The global mobile Internet Conference (GMIC) is being held, and the discussion on the commercial application of artificial intelligence is also concerned. In this regard, "AI+", represented by "Gong Zi Xiao Bai", will answer the question well. 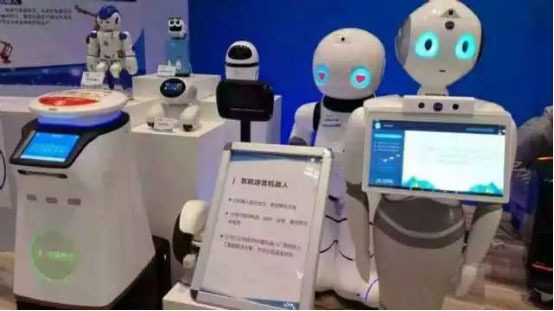 Since the announcement of the launch of "childe Xiao Bai" in Beijing, the first sale of 1000 Jingdong has been snapped up by netizens in just three days, and the monthly sales volume has reached more than 2000 units, creating the best record for the single sale of robot industry. In addition, the "white childe" was also the young consumer groups to evaluate the "personality, fashion, feeling and affordable fashion products, as early as 2015 on the tens of millions of Pre-A financing, valuation of 130 million, 2 months over 3 times, repeatedly refresh the artificial intelligence financing speed, precise positioning of" childe "a main market of young mice was verified to first express. This does not mean that the market has recognized the emotional robot represented by Xiao Zi Bai, and has attracted more investment institutions' attention. Today, Internet plus the rodeo competition, is rapidly evolving into the mental competition, from the "Internet plus" to "AI+" rapid iterative evolution. And, "AI+" will become a major trend in social work, education, and other aspects of application and development, such as "AI+," AI+ financial security "unmanned" AI+, "education, sports, health care and other social applications of artificial intelligence set off wave of reconstruction of business model and competition rule. From the "artificial intelligence" to "AI+", officially launched the white childe, artificial intelligence will no longer be the scene in the movie, but as the most advanced and basic technology, is to promote the development and Reform in various fields and become the cornerstone technology of the fourth industrial revolution, artificial intelligence is expected to catch up from behind in the new China a round of technological innovation tide, is likely to become Chinese overtaking opportunity. The design of emotional robot "development of Gowild intelligent technology company, our smart white childe" petite, highly popular with young people. Its development, with "return to human nature, return to emotion, reshaped the connection" as a belief, has a powerful knowledge map and data analysis ability. It is not only the small housekeeper of the user, but also the small assistant of the user's life. The longer it gets along with the user, the more the user is understood. It is reported that the "young white" second generation of emotional social robot boy white [Youth Edition] will be officially launched in May 18th. It not only adds to the sense of fashion and interest on the basis of the first generation, but the concept of "pocket edition" will make it the best playmate for young people. At the same time, the two generation version will move towards pan entertainment, and launch various IP products, creating a new pattern of AI+ pan entertainment. It will make people "sprout" and look forward to full. The robot of artificial intelligence robot with social emotional All flowers bloom together. From the Indiegogo congregation raised $2 million 200 thousand to develop the robot "Jibo", to the Japanese high school admission robot "Pepper", from Rolle developed the robot "Robby", then to "Alfa dog robot of artificial intelligence, Google and South Korea chess player Li Shishi" man-machine war "(AlphaGo), and then to the development of artificial intelligence Microsoft Tay online chat robot...... Various kinds of robots have a wide range of functions, but the direction of development is serious. Most of them are lack of perception in technology. They are not smart enough to understand feelings and "through human nature". Some people say that the more developed the social network is, the more lonely people are. When both hardware and software are becoming more and more powerful and intelligent, some human specific emotional needs are magnified. It is imperative to create a consumer, intelligent, emotional, sociable robot to supplement the market gap to meet the needs of human beings.